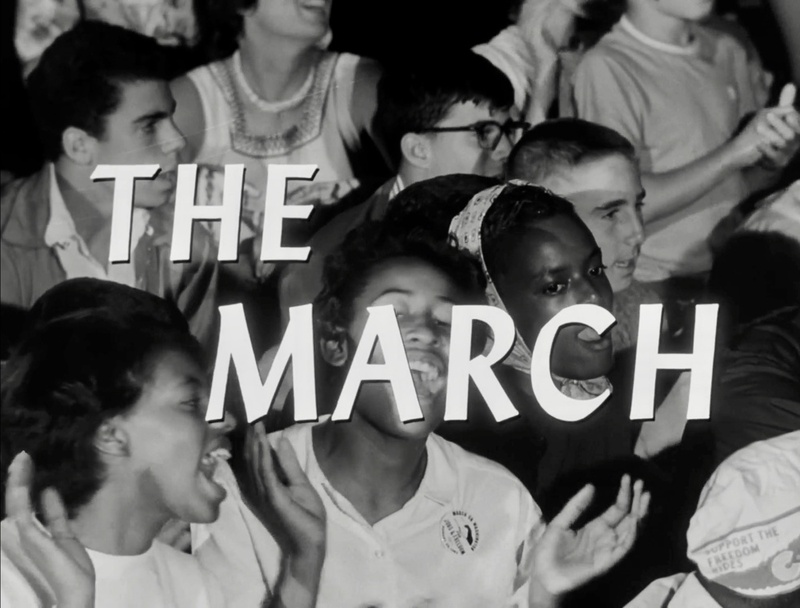 A new digital exhibition illuminates the making of 'The March,' a landmark documentary of the period, and the film’s creator, UO grad James Blue. 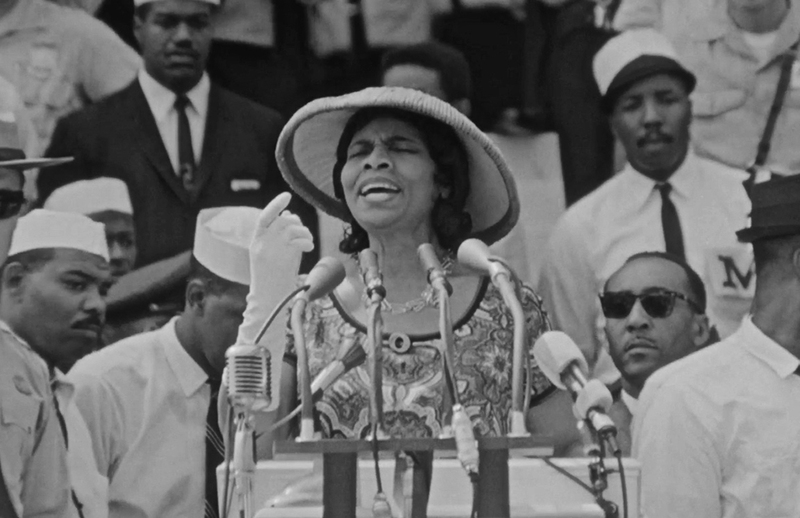 On August 28, 1963, the eyes, ears and conscience of the nation turned toward its Capitol. The focus of attention was not on politics as usual, but a remarkable gathering of people united in a common cause. 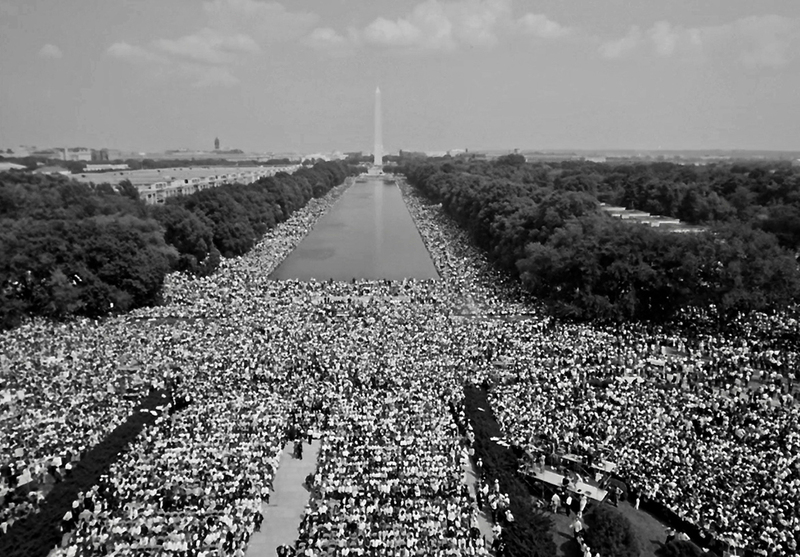 More than 200,000 took part in the March on Washington for Jobs and Freedom. 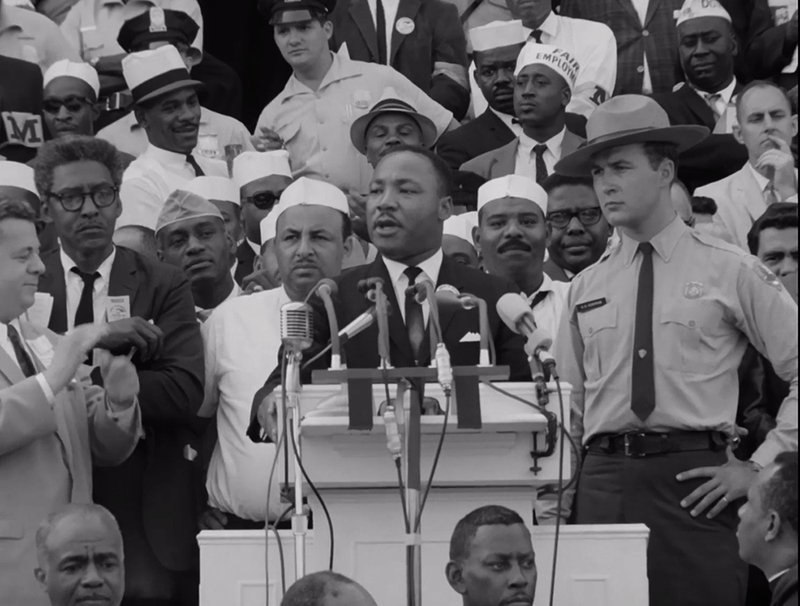 Organized by black leaders and attracting a majority-black crowd of participants, it was one of the largest rallies for human rights in U.S. history. 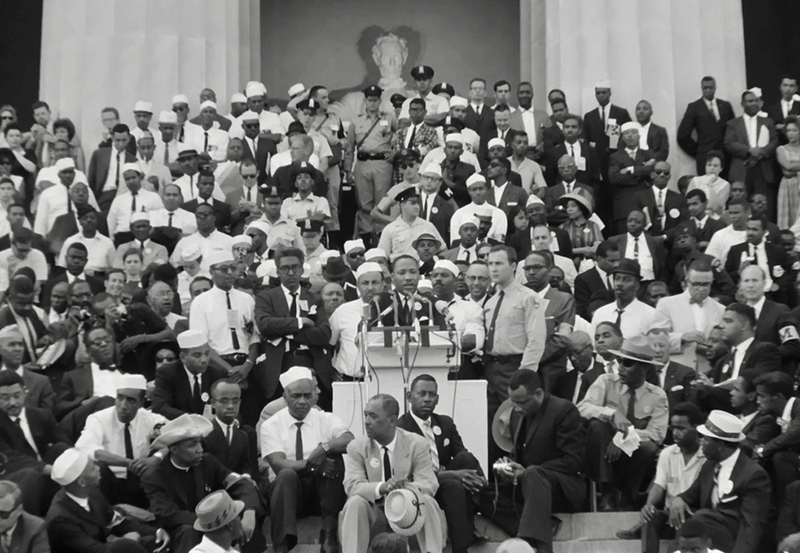 At its climax, a television audience of millions tuned in as Martin Luther King Jr. ascended the steps of the Lincoln Memorial and delivered the stirring oratory that would go down for the ages as his “I Have a Dream” speech. Among the marchers was James Blue, a 1953 University of Oregon graduate. 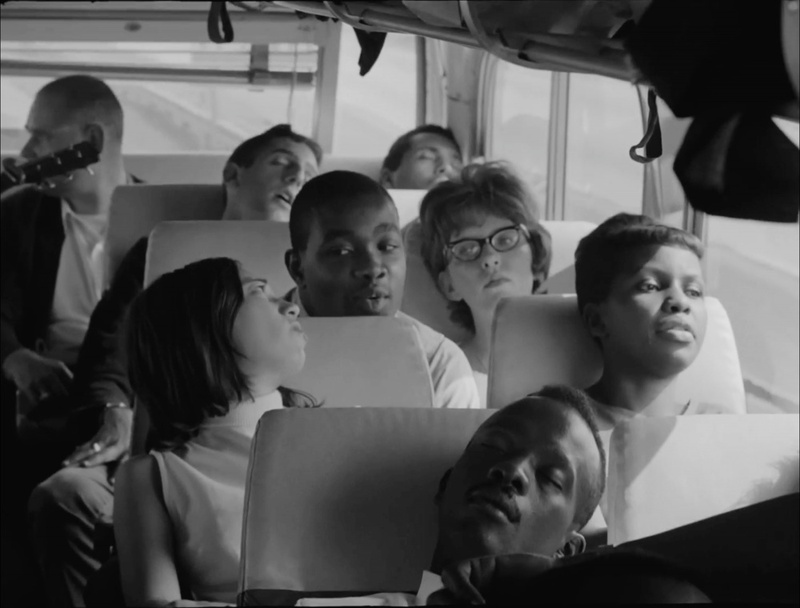 An up-and-coming filmmaker whose formidable talent had already been recognized with the Critic’s Prize at the 1962 Cannes Film Festival, Blue was subsequently hired by John F. Kennedy’s United States Information Agency to create a documentary about the civil rights movement that would be distributed to embassies throughout the world. 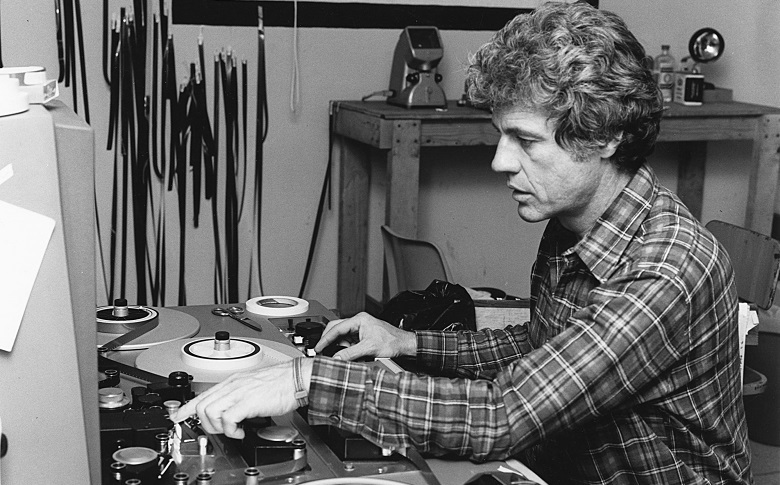 With support from the Andrew W. Mellon Foundation, the film is now the centerpiece of a major new digital project by UO faculty members, staff and students that digs deeper into Blue's legacy to engage a new generation with the filmmaker's work. Blue died in 1980 at age 49. 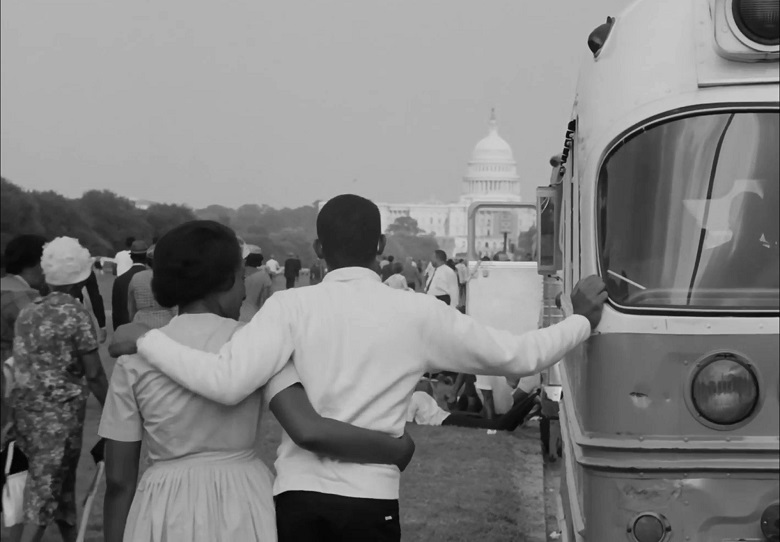 “Brilliant” and “underserved” are two words used by David Frank, professor of rhetoric with the UO's Robert D. Clark Honors College, to describe Blue’s award-winning film “The March,” which was enshrined in the National Archives in 2013. 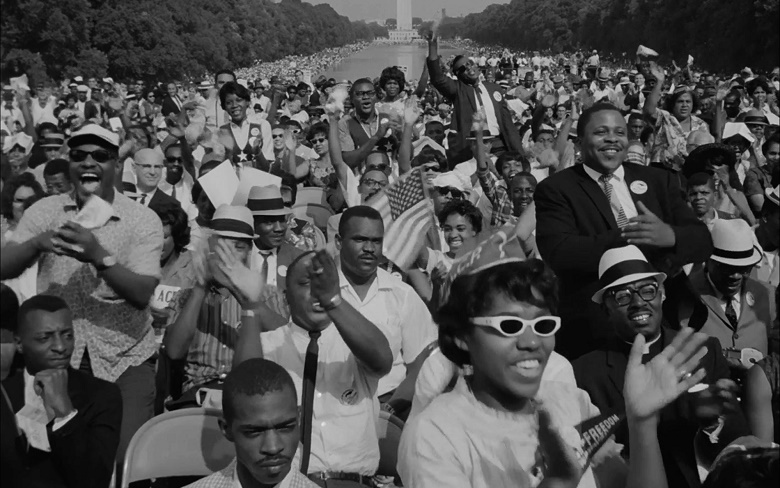 In the summer of 1963, more than 200,000 people congregated on the National Mall at the culmination of The March on Washington for Jobs and Freedom. 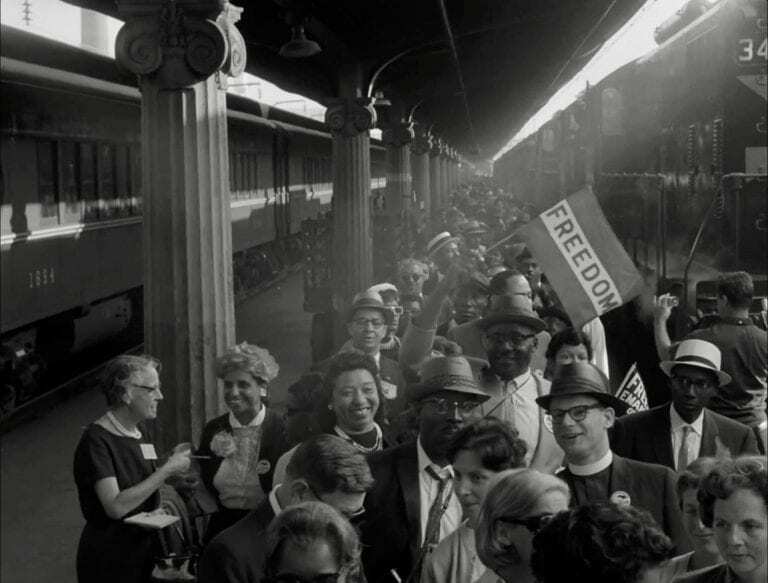 Still from James Blue's "The March" (1964). A longtime admirer of King’s legacy and a committed advocate for social justice, Frank is the creative force behind the new project, aimed at raising awareness of Blue and unpacking the history of the civil rights movement for a new generation of teachers and learners. 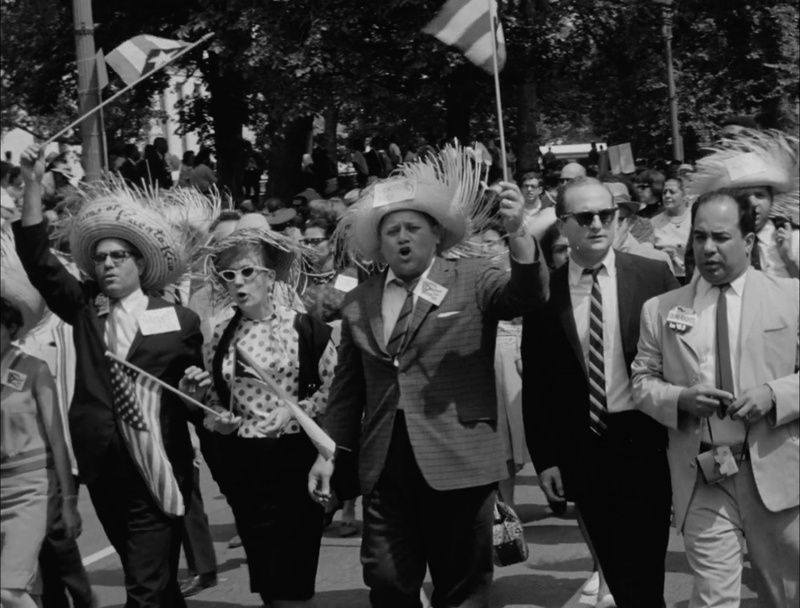 Launching this week, “The March” digital exhibition offers a unique and immersive window into the epochal events of Aug. 28, 1963. Frank explained that he had initially planned to write a book about Blue and “The March,” but he then became aware of the Mellon faculty fellows grant that was offered by the UO Libraries and the Jordan Schnitzer Museum of Art. Inspired by a conversation with Richard Herskowitz, the museum’s curator of media arts, he began to envision the myriad possibilities of presenting his research in a digital format. This would be new territory for Frank, so he was grateful to be selected as one of three inaugural Mellon faculty fellows and to be afforded resources and expertise from the library and museum worlds. 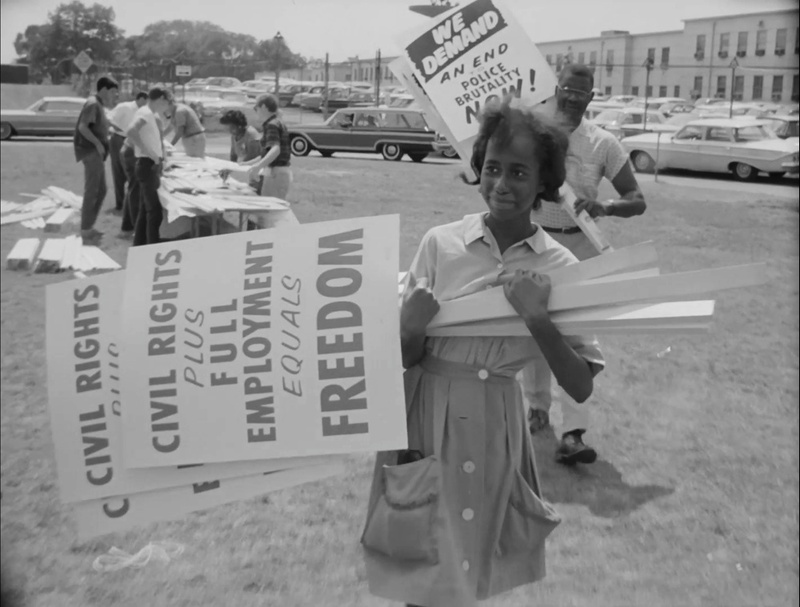 The March on Washington is generally credited with influencing the passage of the 1964 Civil Rights Act and the 1965 Voting Rights Act -- foundational measures that fundamentally changed American culture. Still from James Blue's "The March" (1964). Go to the digital exhibit on "The March"
A classical archaeologist with hands-on experience in digital research methods, Kreiger serves as the Mellon postdoctoral scholar in library-museum collaboration. Her role is to provide project management and digital communications expertise to assist the Mellon faculty fellows in bringing their proposals to fruition. “Collaboration is essential for fieldwork in archaeology, and I feel like I am coming to this as a professional collaborator, someone whose job is to listen and to translate across disciplines and domains, to help people work together by facilitating communications,” she said. From graduate assistants Tom Fischer and Liam Maher to staff in the library’s digital scholarship services department, Kreiger credits many people with helping take “The March” from an idea on the drawing board to a live, public resource on the worldwide web. In demonstrating the features and functionality of their digital exhibition, Kreiger and Frank pointed to highlights that include a new and improved transcript of the film’s content; a wealth of background information about the many gospel songs and musical performers that play a prominent role in the narrative; and archival audio recordings of President Lyndon B. Johnson’s phone conversations with political stakeholders as they vetted Blue’s film and consolidated support for the 1964 Civil Rights Act. Frank said he also hopes “The March” will help create renewed awareness of the 1960s civil rights movement for a generation of young learners who are coming to college with a passion for social justice advocacy but often lack historical context and knowledge of the important groundwork done by previous generations. He also hopes that many new fans will discover Blue’s cinematic gifts and be inspired by his journey from troubled, introverted high-school student to world-renowned filmmaker. A key part of that personal evolution was his time as a student at the UO. 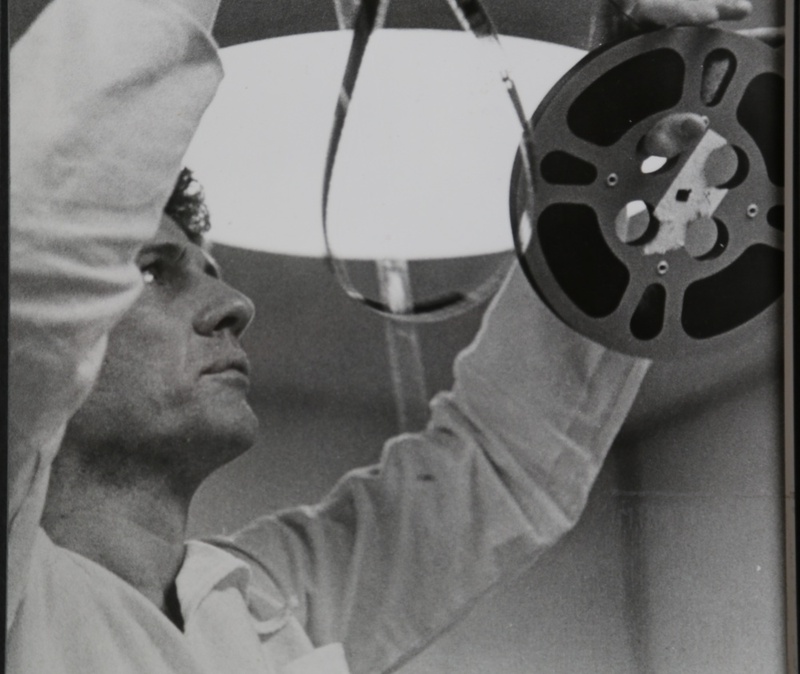 After graduating from the University of Oregon in 1953, James Blue went on to a celebrated career as a documentary filmmaker, humanitarian activist and educator. Photo courtesy of Special Collections and University Archives, UO Libraries.